Experts say it could offer customers incentives and a debit card. camera (David Ryder/Getty Images) A woman walks past the Amazon Go grocery store at the Amazon corporate headquarters on June 16, 2017, in Seattle. A little over a year after Amazon partnered with J.P. Morgan Chase to bring customers a Prime Rewards Visa Card in January 2017, rumors have started that they may be in talks to start a checking account program, according to a report from the Wall Street Journal. But what could an Amazon-branded checking account look like for consumers? "It's just a co-branded financial instrument," said Michael Pachter, the managing director of equity research at Wedbush securities. "This is essentially an affinity debit card." Citing the partnerships the company already has through J.P. Morgan Chase for the credit card they currently offer, he added, "It's very clear that Amazon isn't going into banking." Amazon did not respond to multiple requests from ABC News for comment about the possible checking accounts. (Spencer Platt/Getty Images FILE) People shop in the newly opened Amazon Books on May 25, 2017, in New York City. A spokesperson for J.P. Morgan declined a request to comment. The Amazon Prime Rewards Visa Signature card lets Amazon Prime members upgrade their Amazon credit card with potential rewards by offering 5 percent back on all Amazon purchases, 2 percent back at restaurants, gas stations and drugstores, and 1 percent back on every other purchase. "I think [checking account holders will] get a rebate, but I don’t know how generous it will be," said Pachter. "It'll probably be similar to the credit card rebate." 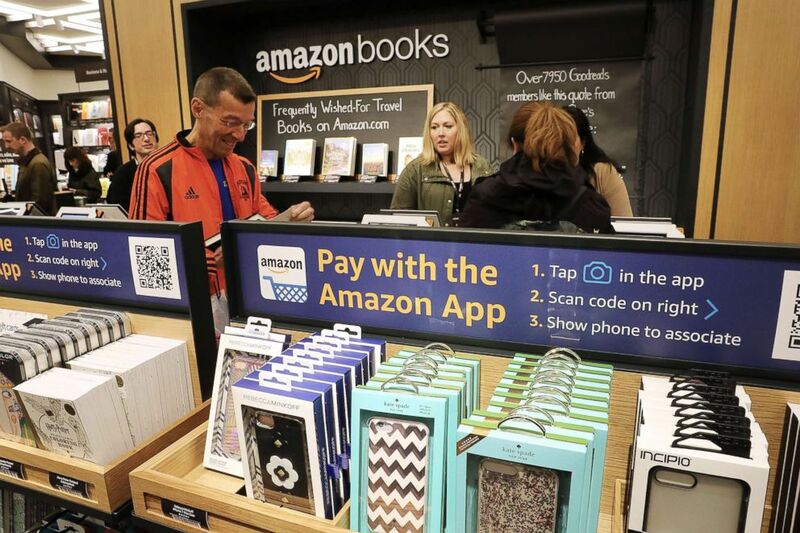 An Amazon checking account, if the company does implement it, could come with a plastic debit card and more incentives to shop with Amazon, according to David Robertson, publisher of the Nilson Report, a newsletter about payment and finance. "There will be a debit card here somehow. It's not going to be an old-fashioned checking account with a book of checks," Robertson told ABC News. "It would be a mobile, online, all-digital product that includes bill payments and opportunities to pay rent and utilities, in addition to offering a card." 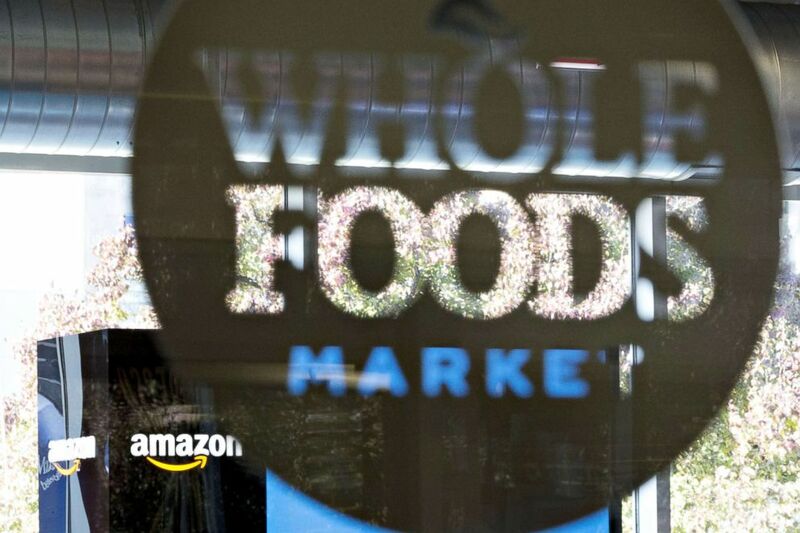 (Daniel Acker/Bloomberg via Getty Images) Amazon.com Inc. signage is displayed at a Pop-Up store inside the Lakeview Whole Foods Market Inc. store in Chicago, Illi, on Nov. 20, 2017. Banks are an institution of trust and Amazon wants some of that trust, said Robertson. "If Amazon can get you to identify your funds with their bank or banking relationship then they really are getting closer to you and your business," he said. "And they might not charge a fee that a bank would." Implementing a checking account program would get Amazon closer to new audiences, and they're a company that has shown they're OK with losing money while experimenting with a new market, Robertson explained. "Less than half of millennials have a credit card, and so many of the people of that age group are indebted from student debt, which is why they don’t have credit cards," Robertson said. "[Amazon] might want to have more business in that group." Consumers that don't have credit cards yet, Robertson explained, may be enticed by incentives Amazon could offer with a debit card and checking account. (David Ryder/Getty Images) A woman walks past the Amazon Go grocery store at the Amazon corporate headquarters on June 16, 2017, in Seattle. 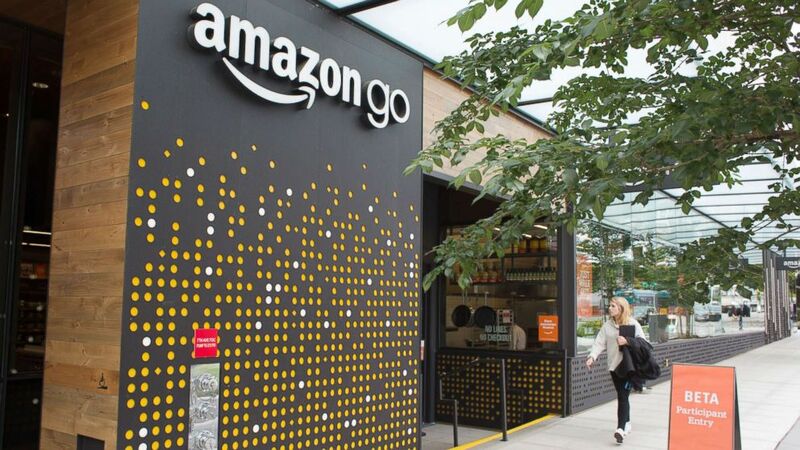 "I would not expect an actual Amazon brick-and-mortar [bank]," said Daniel Ives, a tech industry analyst with GBH Insights. "I think it would ultimately be another notch on their consumer belt." Ives also expects that the possible checking account would be Amazon-branded deposit through a partner like J.P. Morgan, saying, "You can't get any closer [to the consumer] than a branded banking account." While no one knows for certain if an Amazon checking account will actually become a reality, Ives said the option for customers may happen soon. "My prediction is its going to happen sooner rather than later," Ives explained. "They would be able to test it and expand it before launching." He went on to add, "I think more details are going to come out, and I think there's a lot of different ways [Amazon] could go with this."